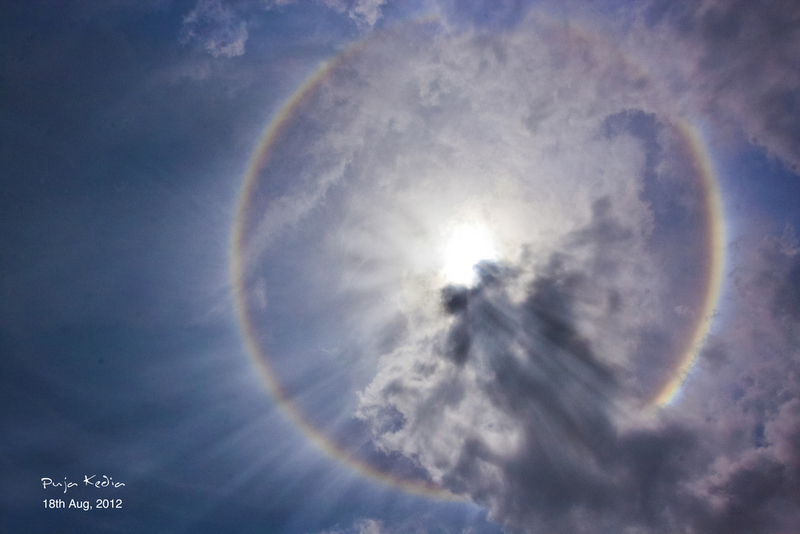 A full circle rainbow was visible around the Sun in Surat on 18th Aug 2012. 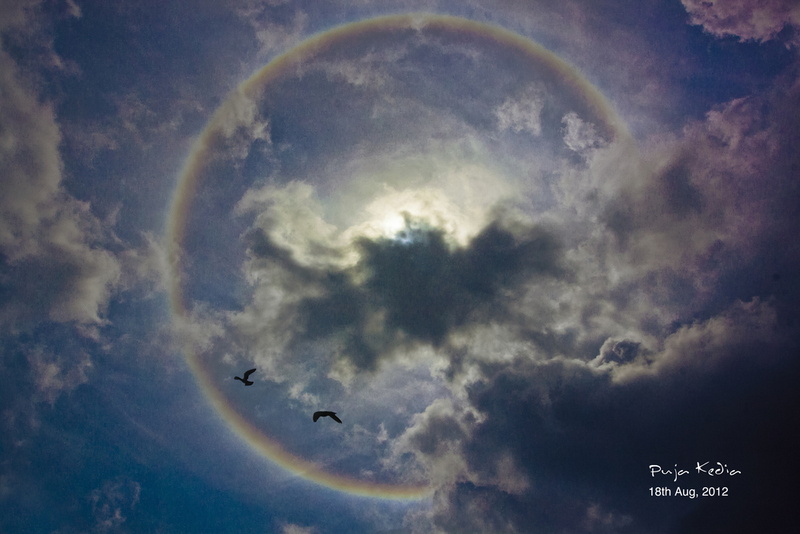 This natural phenomenon is termed as Parhelic Circle and is very rare. A testimony of Nature being the most amazing of Artists. Parhelic circles are generally white in colour because they are produced by reflection, they can however show a bluish or greenish tone near the 120° parhelia and be reddish or deep violet along the fringes.